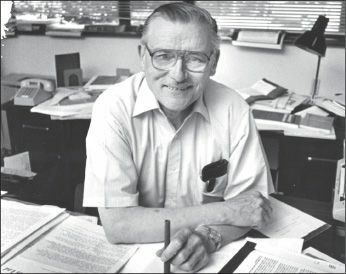 Don’t feel bad if you’ve never heard of James M. Buchanan, said Sam Tanenhaus in The Atlantic. Though the Tennessee-born economist won a Nobel Prize in 1986, historian Nancy MacLean is surely among the first authors to argue that the career academic, who died in 2013, created the template for the movement conservatives who are now on top in Washington. MacLean’s “undisguised loathing” of Buchanan “will offend some readers.” But she has dug deeply into the writings of this truly original thinker, and her new book convincingly establishes Buchanan’s outsize influence in sowing today’s bitter politics. He won his Nobel for advancing the notion that people in government are like everyone else in that they pursue self-interest, not the common good. Ultimately he decided that the majority of American voters would always seek government growth, too, and that to save free-market capitalism, the will of the majority must be thwarted.